Applications are reviewed at regular intervals throughout the year, but doctoral applicants who wish to have strongest consideration and be eligible for graduate assistantships for the following academic year should submit complete applications by January 15 for admission in the following fall semester. 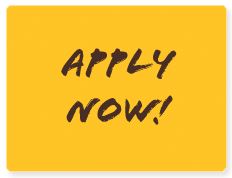 Masters applicants should submit applications according to program guidelines, but consider submitting by September 15 for admission in the spring semester or January 15 for admission in the summer or fall semester. Applicants are required to complete an online application and submit an application fee of $50. Most programs also require official transcripts to be sent directly from the institution to UW Admissions. Other materials may also be required. Please check the specific program for requirements. Questions regarding the UW admissions application system should be directed to the Office of Admissions. Questions regarding admissions materials and requirements should be directed to the specific program. Graduate Assistantships are available in a number of fields, involving duties such as instructor, reader, laboratory assistant and/or other teaching responsibilities. Other assistantships involve a variety of research functions, some of which are funded through various off-campus organizations for specific research purposes. Stipends vary depending upon tasks assigned and experience of the student; most assistantships also include tuition and fee reductions for all or part of the tuition costs. Incidental student fees are usually the student's responsibility. If you are interested in applying for an assistantship within the College of Education, please complete the application form electronically and return it to the department of interest. Please note that only full-time, on-campus students are eligible to receive an assistantship.